When Debbie Annett saw a gap in Spanish instruction for the elementary and middle school grades, she decided to fill it. This seems a natural step given she is an Illinois State Certified Teacher with a bachelor's degree in Spanish from the University of Illinois and a master's degree in Curriculum and Instruction from Northern Illinois University. She has also studied in Seville, Spain. 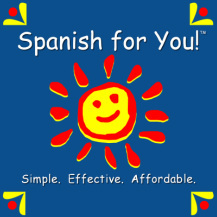 The result of Annett’s efforts is Spanish for You!, a theme based Spanish curriculum for grades 3-8. There are many Spanish programs, but Spanish for You! approaches instruction a little differently than most. The language instruction is theme-based. Currently there are three different themes available: Fiestas (celebrations), Estaciones (seasons), and Viajes (travel). I think the theme approach is great for young children. It seems less overwhelming and easier to maintain a higher interest. Also, a variety of games and activities are suggested for the flash cards. Read the author’s blog post about her thoughts on using flashcards. The themes are not leveled and do not need to be used in any particular order. Each theme has some new and some overlapping material. Furthermore, multiple grade levels (3-8) can study the same material at the same time. The same book is used for all levels, but different lesson plans and worksheets are provided at varying levels (3/4, 5/6, 7/8). If Spanish for You! is being used in the classroom, the lack of levels within themes allows a new student to start study at their own grade level with those who have previous study. This flexibility flows into the use and implementation of the program as well. The Lesson Guides are very easy to follow and the pace can be slowed down or sped up as needed. No previous Spanish experience is needed, either by the student or the teacher. The program can be used in the classroom, at home with one or several students, or as independent study. The instruction is gentle. It is meant to introduce a language over several years, in preparation for future study. The two audio recordings help with this approach. The recording by the author, who is not a native speaker, is less intimidating to new learners and allows the articulation to be slowed down. When students are ready, they can listen to the audio files by the native speaker, who naturally speaks at a faster pace and genuine accent. There are a few areas with room for improvement, but they are relatively minor. When I received my downloads for the grades 3-8 package, I found the numerous files confusing and needing to be organized. Others did too, and the vendor has since reorganized the worksheet and audio files into folders for all future downloads. Also, the pictures provided for flashcards and activities were created by the author’s daughter, so they are rather juvenile. This was done as a way to offset some of the production costs. Some children may really like this and it will make the program seem more directed toward them. However, older kids might be turned off by it. The above issues, however, are a great example of the two largest advantages I’ve seen with Spanish for You! : great customer service and affordability. The author has made great efforts to communicate, answer questions, and correct any issues throughout the review process. This is the key for success to any program. Furthermore, the cost of the program is very reasonable, especially if you need multiple levels. To explore Spanish for You! more, be sure to take a look at the free samples available. The Fiestas (Celebrations) and Estaciones (Seasons) packages for all grades 3-8 are available for $64.95. If you are only needing one grade level (either 3/4, 5/6, 7/8), it can be purchased for $39.99. If needed, extra lesson books can be purchased for $12.95 each. The worksheets provided are all digital. The Fiestas and Estaciones programs are meant for an entire year. The Viajes (Travels) package is available for either grades 5-8 for $9.99 or grades 3-4 for $12.99, and are used over a period of four and six weeks respectively. Click here to purchase. All purchases come with a money back guarantee. Having reviewed and used Compass Classroom’s Visual Latin, I was excited to see several new course offerings, such as Economics and Filmmaking. Among the new releases is Dave Raymond’s American History. Dave Raymond’s American History is a semester course for ages 12 and up which teaches American History from a Christian worldview. It covers Meso-American to The Constitution. The videos consist of Dave Raymond speaking against a basic blue background with related graphics and visuals shown on the screen while he speaks. While the presentations do not have a lot of bells and whistles, they are quite engaging. Dave Raymond is a wonderful story teller and speaker. A Christian worldview and interpretation is woven throughout each lecture, with history being a story of redemption and an exploration of how culture has changed and impacted how people live. In addition to the videos, there is a Student Reader and a Teacher’s Guide. The approximately 150-page Student Reader is not a traditional textbook format but rather a master assignment and exam list with supplemental reading selections. The Student Reader lists assignments for each lecture. Students are asked to read and ponder a reading, write an essay, or consider various questions. their colonization of America. Include the characters of William Bradford and Miles Standish. How did the faith of Samuel Adams affect his leadership? Describe the culture of the American colonies prior to the Great Awakening in detail. Write a short essay explaining the structure, balance, and wisdom of the United States Constitution and why it has lasted longer than any other constitution. Two larger and more detailed projects are included every semester (one a quarter). The projects for American History Part 1 are creating a historical map and memorizing and presenting a speech in costume. 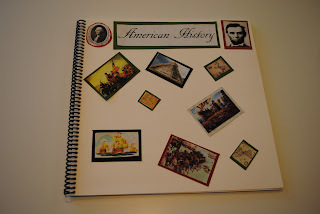 Students are also asked to keep a portfolio throughout the semester, providing an entry for each lesson. 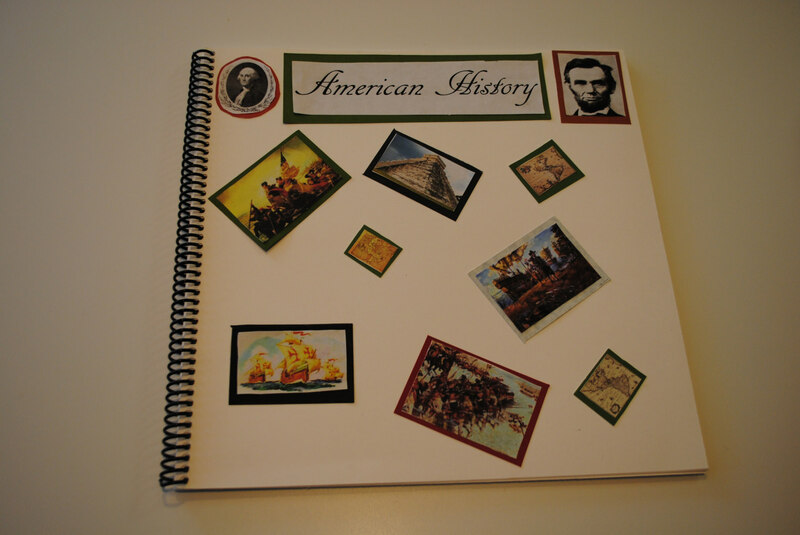 The final portfolio is essentially a personalized textbook created entirely by the student. My eighth grade son helped me evaluate this program. When he first heard about it, he insisted he start it right away. So, without really investigating all the provided materials, I set him up with the downloaded videos and told him to have at it. Without fail, he watched his short lecture every day without reminder, which is quite telling. He said Mr. Raymond is a “very good speaker” and he was enjoying the lectures. It wasn’t until the explanation of the first project (duplicating an historical map by hand) at the end of Lesson 2 that I realized there were more materials with the curriculum. So, what did I learn? 1) It is best to thoroughly check out a curriculum before handing it to your kids and, 2) Your kids can get quite a bit out of this curriculum simply by handing it over to them and letting them only watch the videos! After watching the videos myself, I agree with my son that Dave Raymond keeps the viewer quite engaged. I am not a history buff by any means, but Dave Raymond’s style kept my attention. I like that each lecture was rather short. If desired, the whole lesson’s worth, about an hour long, could be viewed on a single day. However, the shorter segments work very well for us. I also appreciated the emphasis on note-taking. How to take notes is covered in the first lesson, but reminders are given in later lessons. For example, important information is written on the screen and it is suggested for students to get the proper spelling (reminding them that they should be writing this down!). The reading selections in the Student Reader include speeches, first-hand accounts, sermons, letters, poems, and historical narratives. They are not too lengthy, but definitely of substance. Some may not be all that accessible to the younger end of the recommended age range. I also felt some of the questions may have been a little beyond my son, but it was easy enough to just skip those particular readings and/or questions. As I said, he was getting quite a bit just out of the videos! The Teacher Guide gives instructions and guidance on how to grade assignments along with an Answer Key for the exams. Also included are suggestions for further readings listed by lesson. We had a little trouble finding an appropriate map for the first project. Sadly, our library had almost nothing available and online maps were very difficult to read. We ended up skipping the project. However, the portfolio project is definitely worth doing (and may include smaller maps) and I like that it is ongoing and completely up to the student on what to include. We haven't reached the second project, a costumed speech presentation, yet. It would be a great group event to do with several other families. The beginning of my son's portfolio project. I was surprised at how much he thoroughly enjoyed creating the cover. 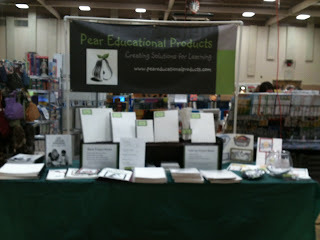 The 12" x 12" spiral bound notebook is from www.peareducationalproducts.com. Overall, our family has really enjoyed this history curriculum and found it flexible enough to adapt to our family’s needs. Curious if it might be a fit for your family? You can download two free lessons to try! Dave Raymond’s American History is available in either DVD or download versions for $100. You can also purchase it via an online portal, which includes a moderator and grader, for $125. Part 2 will be released Summer 2013. Compass Classroom is currently having a spring sale through tomorrow, April 24th. Get 30% off all products (excluding online). Click the banner below and use code CCSPRING30. Disclosure of Material Connection: I received one or more of the products or services mentioned above for free in exchange for an honest review. A positive review is not guaranteed. All opinions are my own. I am disclosing this in accordance with the Federal Trade Commission's 16 CFR, Part 255: "Guides Concerning the Use of Endorsements and Testimonials in Advertising. Affiliate links included above. Now, for the best news yet! One lucky reader will get a download version of Dave Raymond's American History for their very own! See below on how to enter! Review and Giveaway: Hey God, I’ve Got Some Guy Named Jonah in My Stomach and I Think I’m Gonna Throw Up! 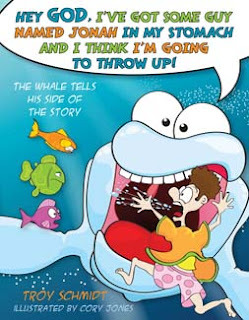 I don't have younger kids reading picture books anymore, but I simply couldn't pass up the chance to review a book titled Hey God, I've Got Some Guy Named Jonah in My Stomach and I think I'm Going to Throw Up! Oh sure, we've all heard the story of Jonah and the Whale a hundred times. But have we heard it from the perspective of the whale who experienced that history-making event? Hey God, I've Got Some Guy Named Jonah in My Stomach and I Think I'm Gonna Throw Up! imagines how that great sea creature from the incident might tell his side of the story, helping kids ages 4 to 8 discover a creative way of learning about that guy who was supposed to go to Ninevah. The "Parent Connection" feature (inside the book) will help moms and dads take the story further with scripture references and tips on how to talk with their children about what really happened. I just have to say, this book it super cute. It is very colorfully illustrated with large-featured cartoon illustrations. The complete page is illustrated with the text in word bubbles. While the story is told completely from the perspective of the whale, the theme and lesson of the Jonah story is not lost. The whale is running from God as well, and he's rather grumpy about God telling him to swallow Jonah. In the end, just like Jonah, the whale learns to trust and obey God. It would probably be more enjoyable if your child is familiar with the Jonah Bible story before reading the whale's perspective, but kids are bound to enjoy it even if they haven't. The back of the book has a Parent Connection section which gives parents guidance on discussing the story of Jonah along with some suggested activities. When my teen son saw the title of this book, he snatched it out of my hand and immediately sat down to read it. I think I may have even heard a few giggles! "Aww, that's a really cute book," he said upon completion. I can't wait to share this book with my niece and nephew. If my teen finds it cute, I think a preschooler and first grader definitely will! Hey God, I've Got Some Guy Named Jonah in My Stomach and I Think I'm Going to Throw Up!, brought to you by B & H, will available on May 1st for $9.99 here. It is only the first in the series with the titles Hey God, Can You Stop the Rain so I Can Get off Noah's Smelly Ark? and Hey God, I'm Having an Awful Vacation in Egypt Thanks to Moses! also available. I have a copy of the book available to one lucky reader. There are numerous ways to enter below! 30% Sale at Compass Classroom! Starting today you can get 30% off ALL products with code CCSPRING30! Check out Visual Latin, Economics for Everybody, American History, Modern Parables, and more. I've been very please with all of the products I've tried from Compass Classroom. Click the graphic below to start shopping! Do you have kids interested in science? Exploring Microgravity, by Space Florida and featuring Janet Ivey, is a new DVD that helps younger kids exploring gravity and microgravity. Janet explains gravity in a fun and engaging way. As she talks in front of the camera, graphics and video are brought in and out on the screen. The approximately 35-minute DVD concludes with Janet experiencing a parabolic flight on the Zero G Boeing 727 (my personal favorite part!). The explanations are quite thorough, yet simplistic enough for a younger crowd. Overall, I'd say the target age range is probably early-to-mid elementary. What I especially appreciated about Exploring Microgravity is that having a female host could be encouraging to young girls to pursue science studies and careers. Check out the Janet's Planet website , where in addition to purchasing the DVD, visitors can also play games, watch videos, ask questions, and more. Now for a bonus for my readers, I get to giveaway a copy of Exploring Microgravity to one lucky person. Enter below for your chance to win! For years I’ve struggled with planning and scheduling, using numerous planners, both purchased and self-created, with mixed results. Some challenges in finding something that works is that our homeschool is quite an eclectic mix and our needs change often. For example, some of my kids’ courses are very scheduled, especially outside classes; others are quite relaxed. We have classes that are done daily, weekly, and monthly, with some lasting all year, others a semester, and some for six weeks. In addition, my children approach their school day very differently. One needs a very specific assignment list and schedule, and the other would rather have assignment due dates but not held accountable to an exact schedule each day. As for me, I hate being stuck to a rigid schedule but find that I absolutely need to have some sort of overall planner or I won’t be able to keep it all together. 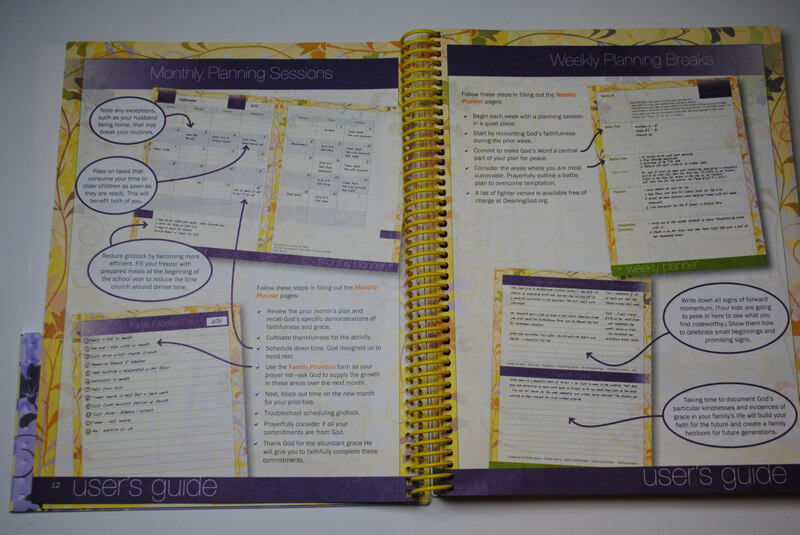 The Ultimate Homeschool Planner, designed by Debra Bell, is a planning system. In addition, the parent planner is meant to work *with* the two student planners, The Ultimate Weekly Planner for Teens and The Ultimate Daily Planner for Students. Our family had the opportunity to review all three planners, each designed for a particular need, yet they all worked together. I think this is key, at least for our family. Let’s start with the planner meant for the homeschooling parent, The Ultimate Homeschool Planner. First of all, I simply like the feel of this planner. It has a large spiral and it easily lies flat and open. The cover is plastic and has some substance, yet is flexible. The planner is significant in size so it won’t get lost, but it isn’t bulky. The covers also have pocket folders, perfect for those I’m-not-sure-where-to-put-this-but-it-is-important-to-have-nearby items. The content is a nice balance of instruction and inspiration with useful recording and planning pages. The beginning pages teach the parent how to purposefully plan, starting with a big picture of goals and time commitments, and bringing it down to how that looks at a daily level. The parent is walked through a Yearly Planning Retreat, Monthly Planning Sessions, Weekly Planning Breaks, right down to Monday Morning Tutorials and Friday Afternoon Reviews with all the appropriate forms. Being a highly visual person, I love, love, love the pages showing how completed planning pages might actually look, including the student planners. The bulk of the planner consists of monthly and weekly planning pages for one calendar year. Each month is a two-page spread, with the dates blank so you can begin to use the planner at any time of the year and be able to fully utilize it. The weekly pages consist of two full page spreads. The first is a grid of six blocks across and six down. There is also a section in the margins for notes, supply lists, and appointments. The next weekly page spread is more for purpose and reflection. They include sections for recording Bible study and focus, prayers, outreach, memorable moments and “evidences of grace” each week. The best feature of the weekly page is flexibility; the rows and columns are not labeled. It took me a couple of tries to figure out what worked for me, but I eventually came up with a personalized system. I need very detailed plans or I will forget some important tasks. Therefore, allotting a block for a day’s work or a subject’s assignments was simply not working. Instead, I drew a line down the middle, giving each child three rows and six columns. I wrote the days across the top and used three blocks for each day’s work, keeping the order of subjects consistent. This way I could include appointments and activities as well. It wasn’t pretty, but the important part is it worked. Having a detailed week’s plan for both children on a two-page spread was just what I needed. I’m still tweaking my system. Since my youngest usually doesn’t need as much space, I’m thinking of adding a row in the middle for my activities and appointments as well. The remaining pages contain forms to record grades, reading lists, year-end review notes along with several teaching tips articles. Check out the available copy of the Table of Contents and a Planner Sample for a better idea of the structure and layout. My kids used two different planners. My daughter used The Ultimate Weekly Planner for Teens. After a couple of year overview type pages and then twelve monthly pages, each week is provided a two-page grid plan with the days across the top and blank column boxes. Each box also has two segmented circles representing an hour each, allowing the student to keep track of on task time in 15 minute increments. The student planners are about half the size of the parent planner, which was preferable to my daughter. However, she found she didn’t quite have enough room to write all her assignments fully. There are only five rows with which to work, requiring some grid boxes to contain more than one subject. My daughter relied on abbreviations and I kept more detailed information in my own planner. The last 35 pages are devoted to grade records, an activities log, credit tracker, general study information, college application planning and notes. My daughter’s past success rate with planners has been similar to mine. She simply hasn’t been able to find one she’ll consistently use. I also have a difficult time balancing giving her freedom and micro-managing when it comes to her schedule. Most of my daughter’s work is either outside classes or independent study. If I give too much freedom, I become very out of touch of what assignments and projects she has coming up. This means I can easily overschedule her with other activities and she can also get in too deep too quickly if I am not overseeing. On the flip side, she resents me structuring her exact daily activities. With The Ultimate Planners, we’ve been having a weekly meeting were we decide together her goals and daily activities for the week. This keeps me in the loop and ensures we are on the same page, in addition to allowing me to guide unrealistic time expectations or help prioritize. I then have a reference in my own planner in order to check in with her throughout the week. 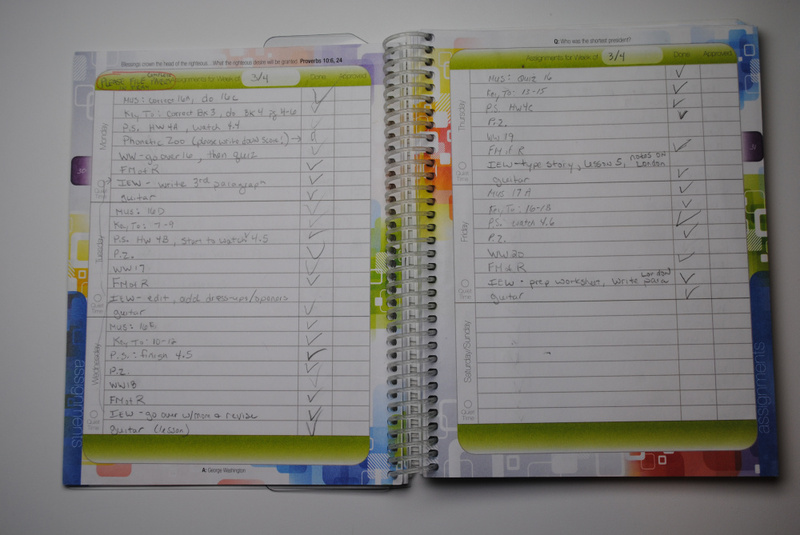 It looks a mess, but this planner really does keep her organized. Items are starred upon completion. The circled items are those still needing completed that may have gotten bumped in the schedule. Take a peek yourself by checking out the 14-page sample of the teen planner. My son used The Ultimate Daily Planner for Students. Even though he is a teen and the planner was designed for elementary and middle school kids, this planner has been a great fit for him. In fact, he has seen become very reliant. It has surprisingly created a focus and consistency in his work he didn’t have previously. The format of the weekly planning pages is more a checklist style. Each day has eight lines for assignments with “done” and “approved” columns. My very linear thinker loved the straightforward schedule in addition to being able to see a week at a time. I keep the order of subjects very consistent and he has developed a routine for completing his work. I used to give him a daily check list, but having the whole week written out in daily increments has been much more effective for him. It gives him the big picture he needs without overwhelming him. I am quite impressed with how focused he has been in completing his tasks for the day. In fact, if I neglect to have the day’s assignments written in, he badgers me in the morning until I complete his planner. I can see how he will easily transition to the teen planner and begin creating his own schedule after using this one for a while. 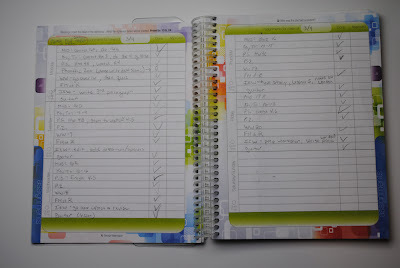 The remaining pages are similar to the teen planner, minus the college preparation pages. (Note: The spiral binding on this planner glows in the dark!). This planner is a huge success story for my son! 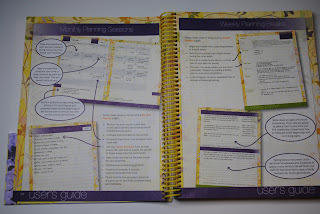 If you have older kids who need something different than the teen planner, I would not hesitate to give this one a look. My kids' different personalities are quite obvious by looking at how they use their planners. This is my linear, "just give me a list to complete" child. A sample of the student planner is available for a closer look. These planners are each different, yet work together as a system. While I’m not utilizing this planning system fully yet, I am consistently using it with success. It is not intimidating and is fairly flexible. Furthermore, it has plenty of tools, should you decide to use them, but the function of the planners is not dependent upon them. The fact that the planners all work together yet serve different needs it the greatest benefit. The Ultimate Homeschool Planner is available for $28. The Ultimate Weekly Planner for Teens and The Ultimate Daily Planner for Students are both available for $19 each. All three planners can be purchased through Apologia. I've been going to homeschool conventions off and on for many years. This first one was a small local convention I attended our first year. I only went as a participant the one time, but the last two years I've had a different perspective as a vendor. It has given me new appreciation for the other side of conventions! This week, though, I'll be a participant. I started attending the Midwest Convention the very first year they had it, when it was located on a church campus outside of Cincinnati. Now, however, this convention was massive. Honestly, I don't know how new homeschoolers would take it all in. With a little preparation, however, you can get a lot more out of the experience. I usually just skim the vendor participant list. I always budget for some impromptu purchases, but overall I use the vendor hall just to look. I may have a particular subject narrowed down to two programs and will take the opportunity to hold them in my hands and talk to the vendor. In general, though, I don't make major purchases (but I have been known to make some if I'm really listening!) I tend to make my purchases the very last day, so I can ponder if I really need the item. I also use the vendor hall time to just browse lesser known vendors and see what is out there. Usually, though, I'm there for the workshops. Some time slots have over twenty workshops offered! How in the world does one decide? First, I print off the schedule, with just the titles, not the whole description (to avoid pages and pages). I pull up the descriptions on my laptop. I usually have a couple workshops I'm drawn to, so I read those first. Then I read any workshop description that is even remotely applicable to our homeschool. I often end up crossing some off and adding others based on the descriptions. Make sure you read the bio of the speakers, too. It will give you a feel for their perspective on the topic. In previous years, I would be able to narrow it down to just a couple or as many as a half dozen in the same time slot. Some have readily available recordings and get crossed off the list. For example, many of Andrew Pudewa's talks are available for purchase at the IEW website. I usually end up purchasing many of the recordings at the end of the convention too. Sometimes I make the wrong choice in which to attend. I have left one workshop for another on my list if it ended up being not what I thought. Tip: Sit in an area where you can easily escape. I once ended up in an overfilled room, on the floor in the front corner. I wanted to poke my eyes out and plug my ears the whole time because the speaker was giving some misinformation. It was impossible to leave the room gracefully. Seats by the door are now my choice. You always know which are the great workshops because you'll hear others talking about them and the available recordings will constantly be selling out. If you hear a particular speaker is good, look ahead in the schedule to see if they are giving another workshop later, even on another topic. I highlight my choices, using a designated color for first, second, and third choices. Because I've been to the Midwest Convention numerous times, I've heard many of the speakers already. It makes choosing so much easier. Also, with teens, many of the topics no longer apply here. We've got the reading down, I've figure out unit studies aren't my thing, and I could probably present Homeschooling 101 myself. I have most time slots narrowed down to one or two workshops of interest. Aside from packing, I'm ready to go. Once I get my morning Starbucks, I will be prepared for each day at convention.